On the occasion of the beginning of the month of Ramadan, an Iftar ceremony was held on Tuesday, June 7, 2016, at Auvers-sur-Oise, hosting mothers of martyrs of the Iranian Resistance and supporters of the movement. Maryam Rajavi extended her felicitations to Muslims the world over and especially to her compatriots in Iran on the inception of the Holy month of Ramadan, the month of virtue, peace and friendship. She wished that the belligerence and carnage, led by Iran's ruling mullahs under the banner of Islam, be uprooted. In diametric opposition to such culture, today the mullahs fuel and foment more war and bloodshed in the region. Domestically, too, they have stepped up repression under the pretext of Ramadan. In a grave disrespect for the sanctity of this holy month, they impose further restrictions on the populace and increasingly use flogging and executions as their punishment. 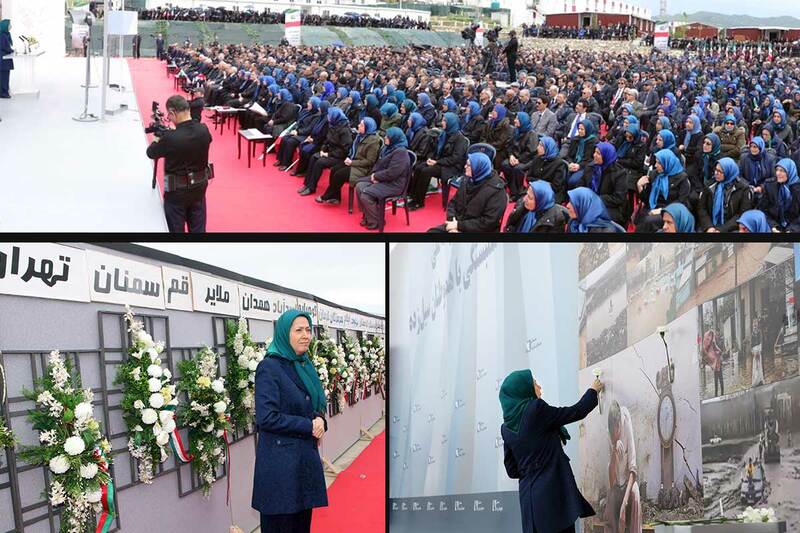 She also noted the horrific class difference, poverty, unemployment and high prices in Iran and said: There is not a day when we do not hear the cries of the people afflicted with various calamities including suicides and disintegration of families. Numerous families have not had a complete meal for a long time; they do not afford to pay for medical treatment and education of their children. They live in shanty towns. Millions upon millions of youths remain unemployed and their talents are perished. They are deprived of their most basic rights and freedoms, and their short moments of celebration and happiness end with flogging, libels and arrests. On one side is the luxurious wealth and lifestyle of the mullahs, their families and accomplices knowing no limits in extravagant spending and squandering of wealth; on the other side is the destitution of people who have to sell their kidneys, corneas, or unborn infants to survive. Maryam Rajavi said: The regime falsely pretends to be defending the poor and the destitute while a glance over the situation in Iran and Syria easily reveals how Khamenei and Bashar Assad have butchered hundreds of thousands of people there. Such a decadent regime is doomed to go. In the first Iftar of Ramadan, Maryam Rajavi prayed for the people of Iran and the region to be free from the clerical regime's evil. 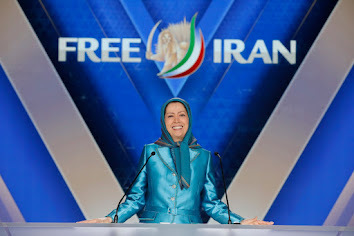 She also wished greater determination and faith for Iran's PMOI freedom fighters.